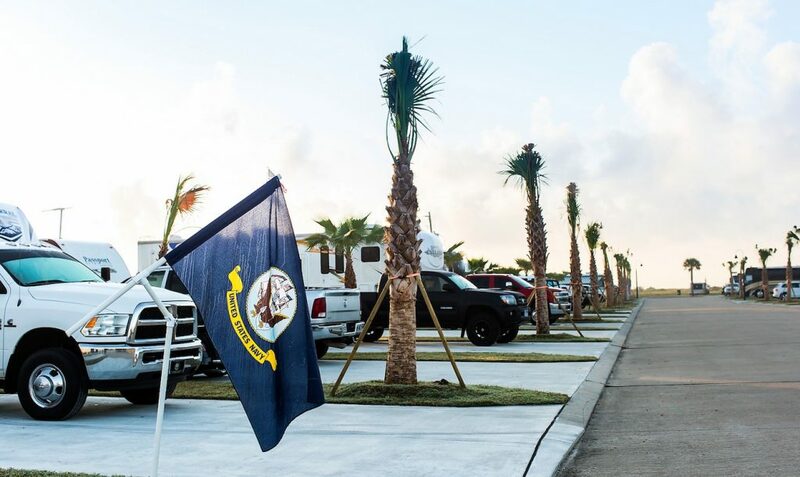 We take pride in keeping our RV sites clean and beautiful for each arriving guest. 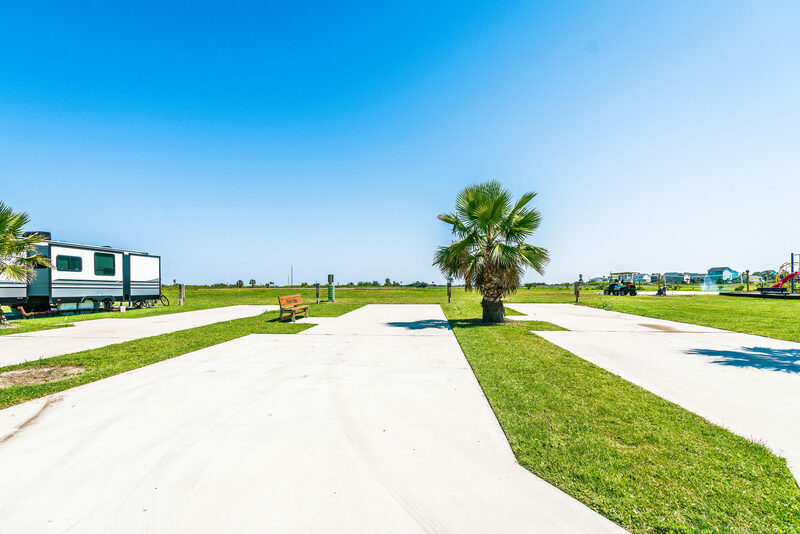 All sites have large 70’ or 90’ concrete pads, a concrete patio with an in-ground umbrella holder, green space and landscaping. 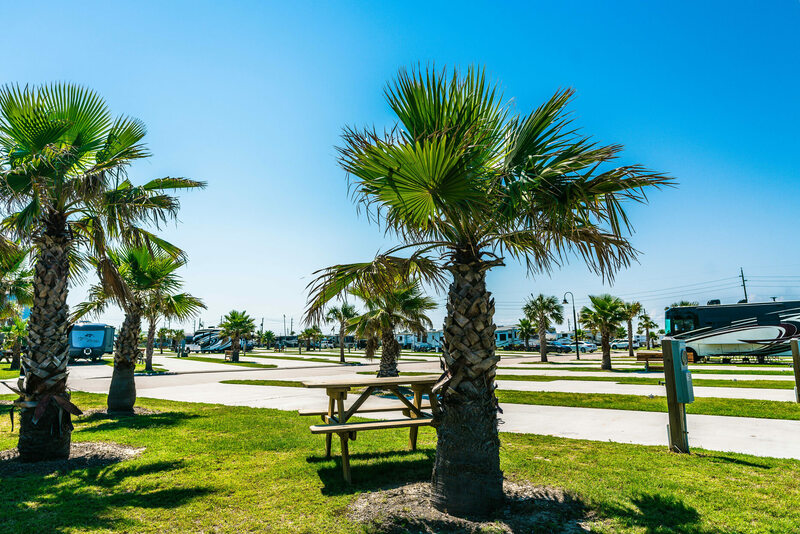 We’re rated #1 on Trip Advisor for Specialty Lodging on Galveston Island. Winter is almost here for Winter Texans looking for a warmer getaway. Our snowbird specials provide fantastic rates during the winter season, including discounted monthly rates. 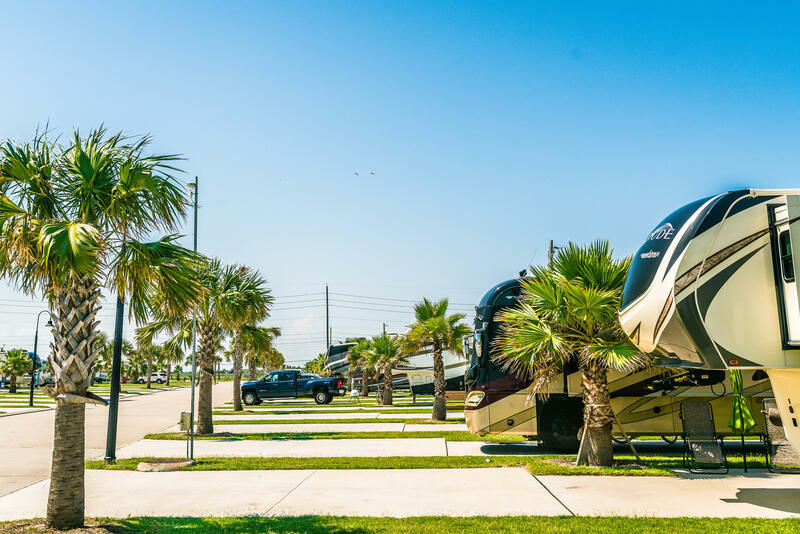 If you’d like to book monthly with us, please give us a call (409-632-7017) to reserve your RV site now, otherwise, please book online. In addition to complimentary premium Wi-Fi throughout the resort, our listed rates are all inclusive! Registered guests have access to all amenities in the resort, including our new splash park, resort pool, and other onsite amenities. 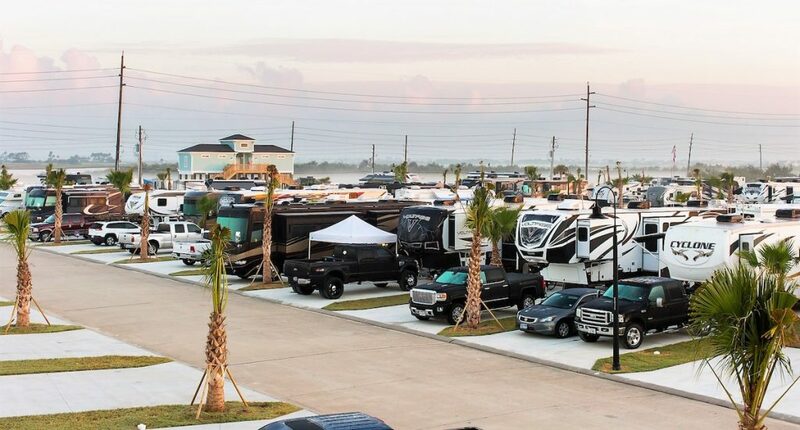 Dare to Compare with Other Galveston RV Campgrounds! Not all rates are created equal. At many area parks, the stated rates are actually the basic ‘rack rates.’ However, there can be hidden ‘add-ons’ for additional guests, additional vehicles, additional fees for 50A service, and so on. 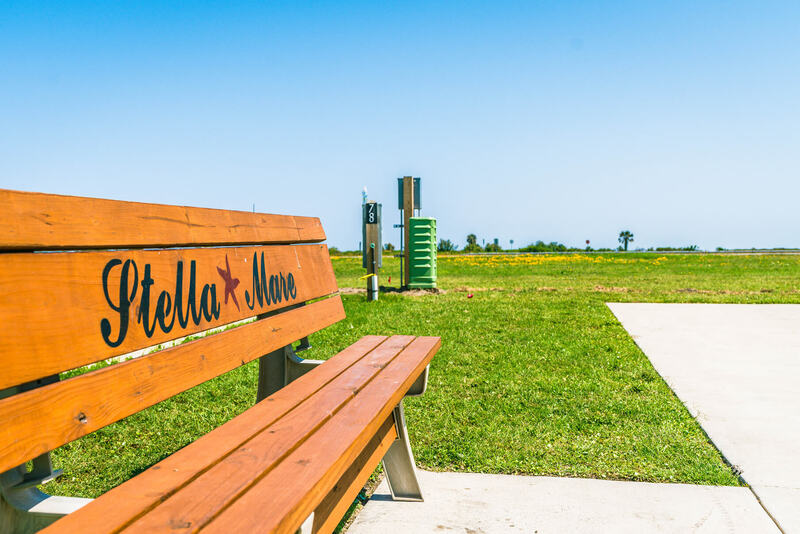 Not at Stella Mare RV Resort! Our rates are ‘all-inclusive’ of the maximum number of guests and do not contain any hidden fees. 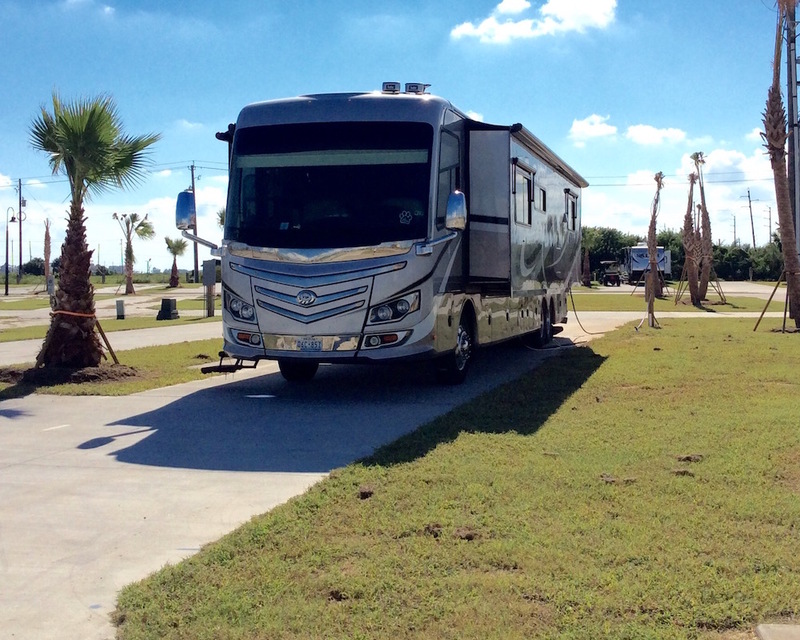 We can accommodate any size pull-through RV. Up to six guests are allowed per RV site. Double parking is provided for up to two vehicles. 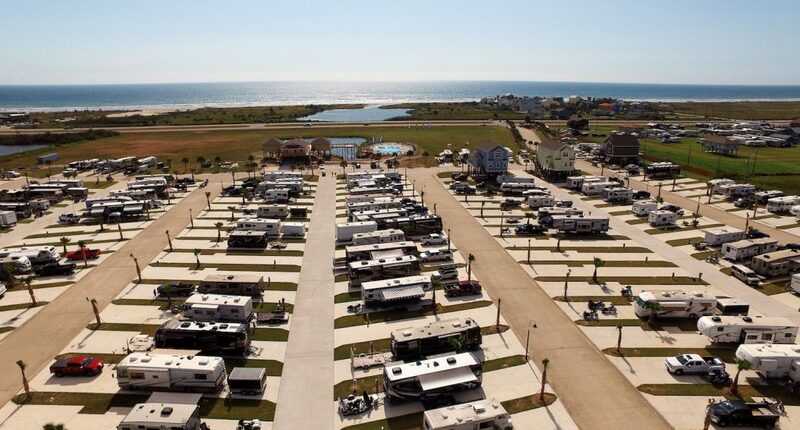 Full RV hook-ups, including 50/30/20amp power, water, and sewer are located at every site. Book now: up to 40% off your entire stay! *Not valid for special event or holiday weekends. Please click on any image to view full size slideshow. Take a look at our fabulous fall & winter savings!